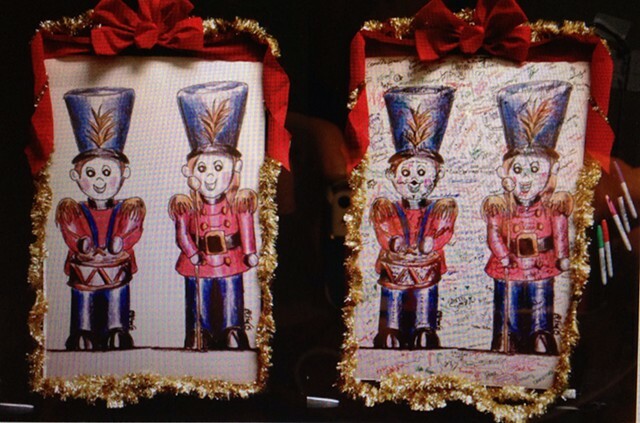 An original drawing put onto a 20" x 30" poster and signed/interacted with by hundreds of transient performers, crew members, chaperones, and workers through out the 2015 Holiday Season. Put up backstage at the Fox Theater in Spokane, WA for one month. Each show added new interactions combined with all previous contributions. By New Year's 2016, over 200 people signed the poster, from age 5 up to the mid-80s.